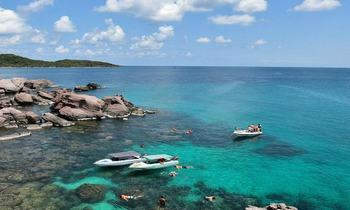 With the primitive charming beauty, Phu Quoc has attracted more and more visitors annually. It’s a good idea to hold a party with your fellows after a long day of exploration. 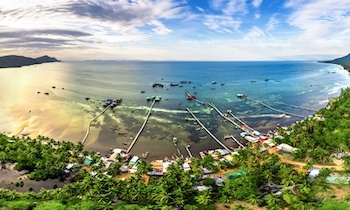 If you are still confused about where to party in Phu Quoc, this article may be helpful to you. Designed in the colonial architectural style, La Veranda which is affiliated with the same-name resort is situated right in the heart of Long Beach. This beach bar is an ideal place to watch the splendid sunset of Long Beach in a classy environment. The bar serves the premium liquors as well as a wide selection of bears. 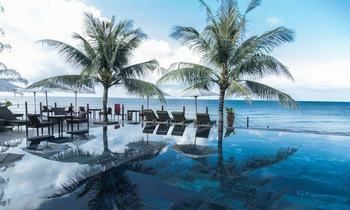 This is a perfect spot for couples who are seeking for something nostalgic, romantic and luxurious. 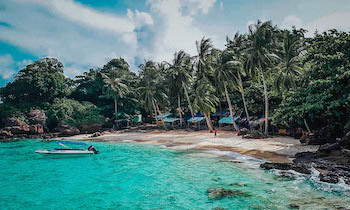 Located near the opulent beach resorts such as Novotel Resort or Intercontinental Phu Quoc Long beach, Golden Sand Bar can be easily found in the South-West coast of Phu Quoc island. 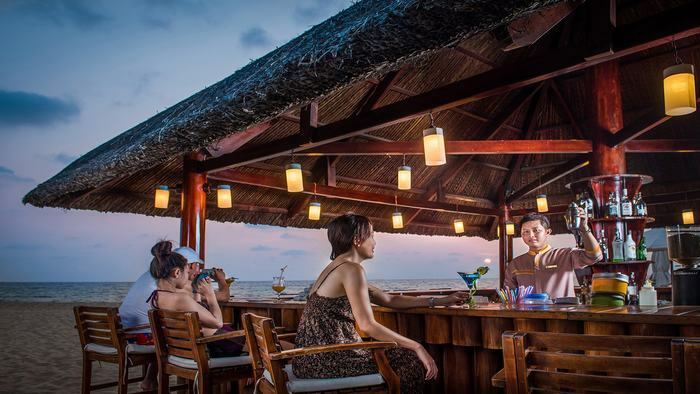 This bar serves plenty of premium beverages, has the fantastic wooden beach desks and plenty of beach loungers. 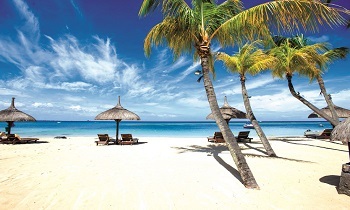 In Golden Sand, you will find everything you need for an exciting summer: sun, umbrella, cocktails, coconut trees, the ocean breeze as well as the breathtaking sunset. There is nothing better than hanging out with friends in this superb space. The bar is opened all day so you can visit here anytime. 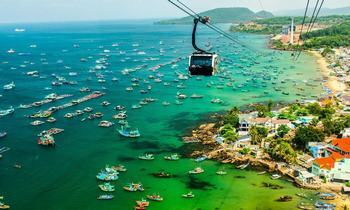 An Duong which is a complex of bar, lounge, and restaurant is famous for the spectacular view. 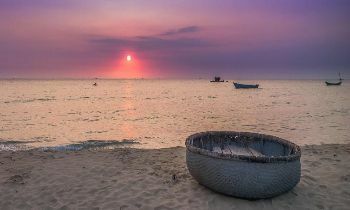 Located right above the water, An Duong is designed in the simplified style with the dominant colors of red and white. In this impressive atmosphere, visitors will be amazed at enjoying a wide selection of the tasty drinks as well as the yummy seafood dishes, listening to the tunable rhythm of the ocean waves and mixing with light music in some types such as jazz, country, blues, flamenco, etc at the same time. Occasionally, at night, there are live performances of DJ, which can rock any visitors. The seafood is evaluated to be fairly pricey however the drinks are affordable. Located right on Long Beach, Eden Beach Bar owns the open-air square shacks, which are well-stocked with a wide selection of cocktails, the healthy food, the attractive snacks in the splendid tropical atmosphere. 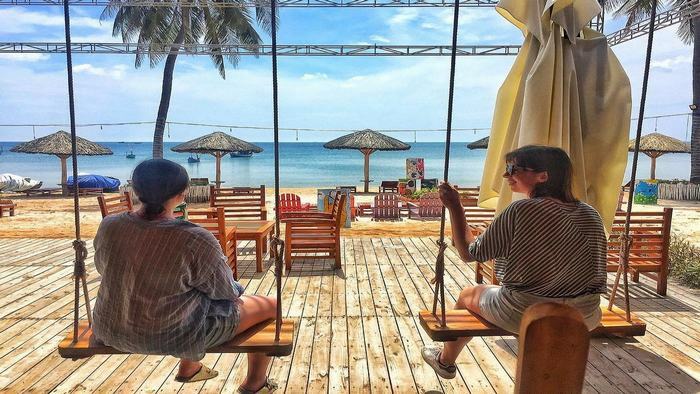 With the outlook resembling a tiki hut, Eden Beach Bar is a perfect spot to hang out during the day or enjoy the wonderful beach life with your family or fellow. If you want something more private, you can choose the tables propped up on the beach itself. Xin Chao lounge and restaurant are renowned for the golden position, the signature cocktails, and the ambient seafood. This multi-storey oceanfront restaurant is well-designed with the cozy atmosphere. 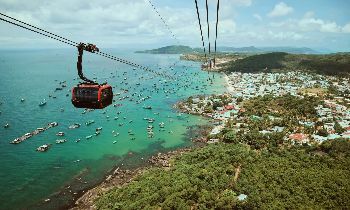 Visiting here on a fine day, you will take a chance to get an obstructed view of the sunset, which is a key asset of Xin Chao. This spot is usually packed on most nights so it’s better to come here early. Just taking 10 minutes to walk from Long Beach, Itaca Resto Lounge attracts lots of travelers, especially foreign tourists thanks to a varied menu of the Mediterranean tapas, Asian-style dishes, and alcoholic drinks. Operated by a Spanish owner, Itaca Resto Lounge's service is professional and friendly, making it an ideal spot for romantic dinners as well as the cheerful gatherings alike. With the well-lit courtyard and the patio-style bar, the lounge is appointed with several wooden tables and white cushioned seats on the base of the evergreen grass. The spacious semi-indoor dining zone is decorated lavishly with the fairy lights from conical-hat lamps. The live DJ performance which often starts at 20:00 onwards will satisfy party-goers. Being widely regarded as the quintessential nightlife spot, Rory's Beach Bar features an attractive drinks list, the spacious lounge, and spectacular views of the ocean as well as the surrounding islets. 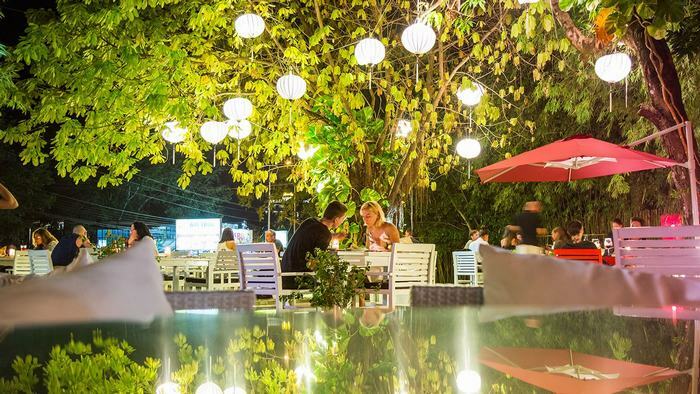 Situated in Long Beach, this bar is adorned with the colorful lanterns, the spacious open-air wooden deck, and communal tables, several TVs airing entertainment programs, and a well-stocked bar zone. There are lots of plastic chairs and umbrellas right on the beach for those who like to be closer to the ocean. The drinks list includes the tropical cocktails, the imported wines, and fresh beers on tap. In Rory's Beach Bar, guests can enjoy a perfect harmony between the fresh seafood and the Western cuisine's characteristics. Moreover, customers can enjoy live music, DJ performance, and bonfires every night. It's no surprise that Rory’s Beach Bar is always crowded during the high season. 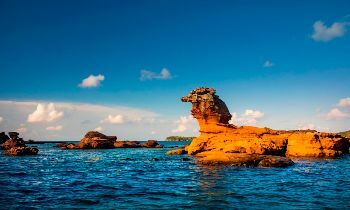 With the extraordinary attraction, it’s no surprise that Phu Quoc tour is always on the bucket list of any travelers when coming to Vietnam. If you wish to party with your fellows, it’s a great choice to visit these above spots. You will surely get the marvelous moments.